Option 1 – Offer valid through Sheffield Financial for qualified buyers. No interest in the first 6 months, no payments in the first 7 months. If the customer decides to pay off the full amount of the loan in the first 6 months, they won’t have any interest to pay. Offer valid through participating and authorized U.S. Vespa Piaggio Group Americas dealers only. 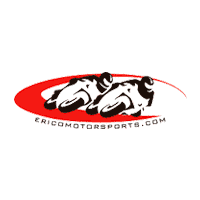 Offer valid April 1st through May 31st, 2019. Option 3 – Offer valid through Sheffield Financial for qualified buyers. Payments estimated with 15% down, freight & setup costs are on top due at signing for a term of 4.99% APR on 60 months. Amount due at end of term not included. 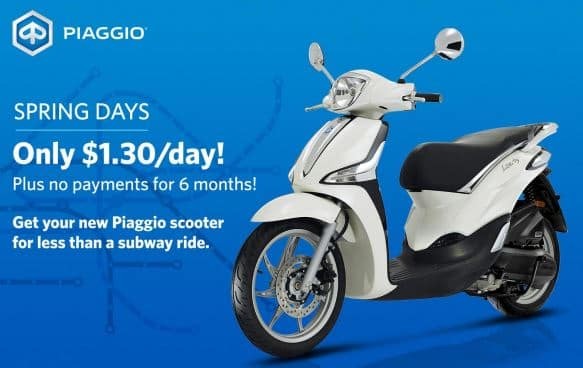 Offer valid through participating and authorized U.S. Vespa Piaggio Group Americas dealers only. Offer valid April 1st through May 31st, 2019.